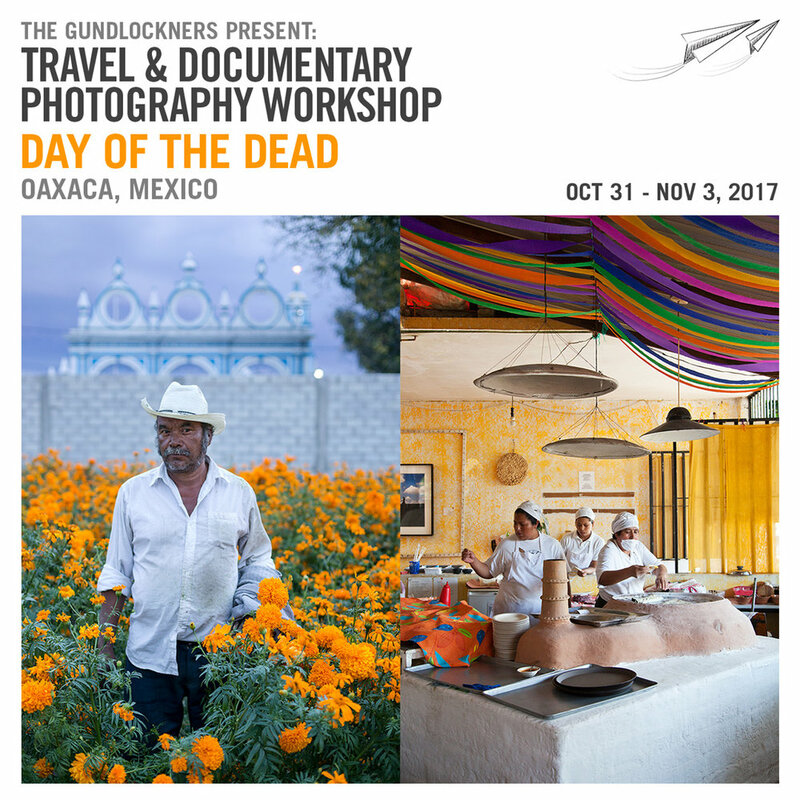 This intensive four-day photography workshop takes place in Oaxaca City during the remarkable Day of the Dead celebrations. The workshop is comprised of classroom lectures on practical topics, photographing in the field, and a final presentation of individual work. Students will be encouraged to find and develop their own unique photographic stories featuring Day of the Dead or Oaxaca. During the shooting sessions, students will have the option of working with Brett or Lindsay in preplanned events, or photographing on their own. The topics and locations covered in the workshop are flexible, giving room to focus on the specific interests of students. Classroom time will be comprised of three joint lectures delivered to the entire group. Students will also have their choice of three elective classes. The workshop fee only covers tuition. The goal is to keep the entrance fee as low as possible, therefore participants will be responsible for organizing their own trips and for all other associated costs (transportation, housing, food and on the ground travel). If students wish to work with a fixer/translator, one can be arranged for an additional fee. Editing: Workflow, workflow, workflow. How to efficiently edit and deliver assignments. Once your work is edited, we will talk about sequencing your story to deliver the most impact. Photographing on the Street: Moving through the streets and capturing story telling images that represent the environment that you are in. Personal Work to Assignment Photography: How does personal work lend itself to assignments? Should they be kept separate or do they fuse together? Photographing in foreign environments: Respecting and understanding your subjects while working safely. Sustaining long term work: Grants, assignments and publishing. Keeping multi year long projects moving. Reserve your spot by using the paypal link bellow. We require a 50% deposit ($125 usd) to be made to hold your spot. Please note that we are only accepting eight students, first come first serve. Final payment ($125 usd) must be made by Sept. 15, 2017 to confirm your participation. Refunds on the deposit will be made up until Sept. 15, 2017.